Frank Thomas is a South African and former technical director of the USGA, inventor of the Graphite Shaft & Frankly Frog Putter as well as the author of “Fundamentals of Putting”. 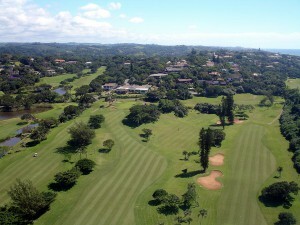 Ranked #1 in South Africa’s Most Fun Courses (Golf Digest December 2012), Southbroom Golf Club boasts one of the most popular golf courses on the lower South Coast of KwaZulu-Natal. 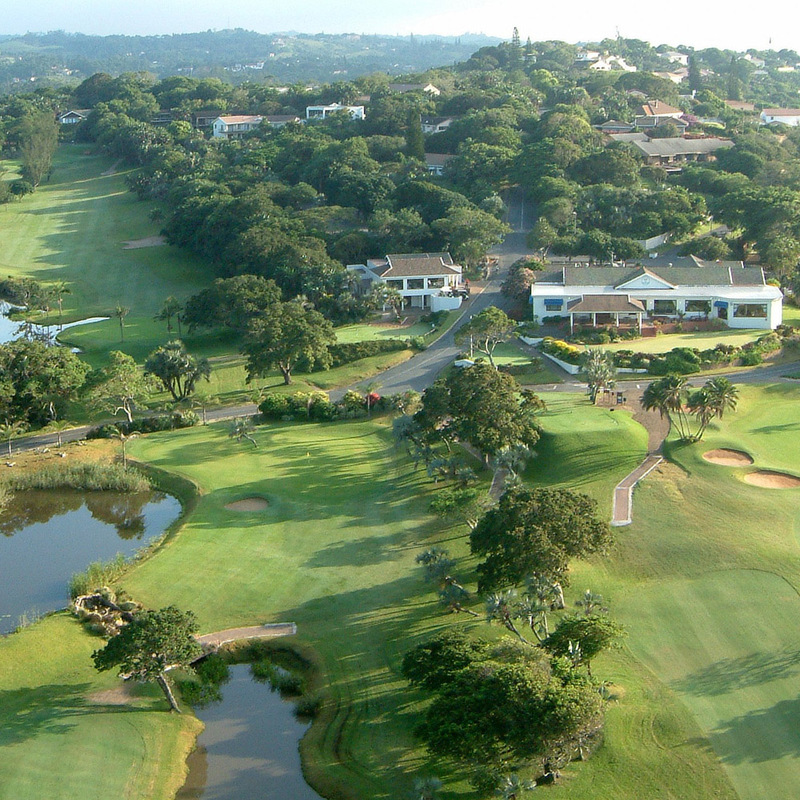 As an integral part of the Southbroom village, the course is a rare South African layout and if it wasn’t for all the palm trees and tropical foliage, you’d think you were in Britain or Ireland. Only a stone’s throw from the Indian Ocean, Southbroom Golf Club affords golfers impressive views of pristine beaches and the sea; the tranquility of playing alongside the lush indigenous vegetation of the Frederika Nature Reserve; and an opportunity to feel the pride of the Southbroom village as the course meanders past elegant coastal residences. Each of the 18-holes has its own unique feature and ability to test the skill of even the most accomplished golfer. The Southbroom golf course is not a breeze to play especially when you experience it on a windy day. The par-3 fourth, just 114 meters, is the most famous of the two seaside holes. On a calm day it’s a wedge, but it’s a tiger when the wind is blowing into you. Water, in the form of both dams and rivers flowing to the sea, quietly but surely come into play and golfers need a careful game plan to negotiate this charming course. 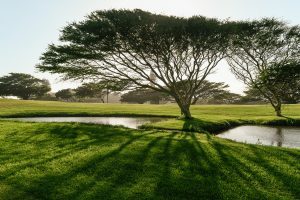 Recently adjudged by Compleat Golfer to be the most popular club in KwaZulu-Natal, South Africa, the Southbroom golf course was established in 1938 and has consistently been improved and upgraded over the years. It always has a neat, manicured look about it and current improvements doubled the size of the green on the par-5 ninth which now sweeps towards the edge of a large water hazard that is hidden from view when playing your approach; and the relocation of the cart-path along the right hand boundary of the par-3 fourth. The Southbroom Pro Shop, run by Derek & Sheena James, has an old-fashioned feel about it with every nook and cranny crammed with interesting goodies and lots of the latest golf gear. It’s a place where you’re assured of a warm welcome with everyone going out of their way to help you. The clubhouse commands impressive views of the course and the Indian Ocean, affording opportunities for frequent whale and dolphin spotting, and lives up to the early expectations of “popular amenity and social centre” of the village.